(03-03-2012, 07:46 AM)ben74 Wrote: Valobra "Glycerlanolina"
With a classic tallow and coconut oil base, it makes a rich, creamy lather. It is enriched with lecithin and beeswax and has added glycerine and lanolin which is most agreeable with my often dehydrated and sensitive skin. Interesting. I will have to see if I can source this one. I'm working my way through 5 QCS soaps that SWMBO gave me for Christmas. Almost done with the second one (Sandalwood), then moving on to Green Irish Spring (I think that's the name of it). That one always peaked my curiosity. Got to try it one of these days. How's the scent of that soap? I use Ivory exclusively since it suits my skin and budget but recently introduced my folks to MWF soap. I just have different priorities. Phil, it would be great if you could add the Valobra "Glycerlanolina" to your inventory along with Marvis toothpaste. I only use GrandPa's Pine Tar Soap.......much to my wife's dismay. Luckily, she hates normal Supermarket bar soaps even more than the Pine Tar soap. I cannot find Mysore Sandal soap anywhere locally. Where is the best place online to find a bar or two and not pay outrageous shipping charges? I like Yardley for its price and availability. Also tried Dr Bronners that wasn’t too bad. I just recently started getting away from shower gels and using soap. Just opened the 2nd bar of a 3 pak today. Not sure what is next, but some of these mentioned looked great. 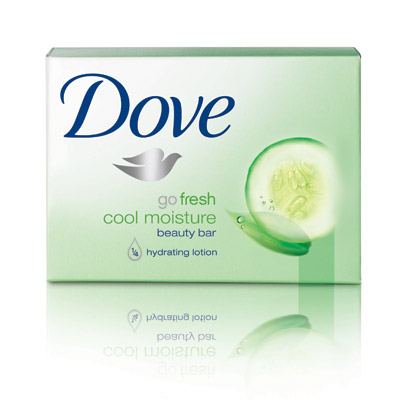 (03-06-2012, 01:47 PM)40boy Wrote: I just recently started getting away from shower gels and using soap. I have never cared for shower gels in the bath or shower; it has always been bar soap for me. Ironically, though, for washing my hands at the bathroom and kitchen sinks I prefer liquid soaps because they are not as messy to deal with as bar soap in that situation. (03-06-2012, 03:37 PM)freddy Wrote: I have never cared for shower gels in the bath or shower; it has always been bar soap for me. Ironically, though, for washing my hands at the bathroom and kitchen sinks I prefer liquid soaps because they are not as messy to deal with as bar soap in that situation. +1 I feel the same way Freddy! I use either a bar of soap (the giant Ivory colored Marseilles soap from L'Occitane) or Badedas gel - I'm not normally a gel fan but Badedas isn't your ordinary gel. I'm on my last Pre De Provence bar. Lovely scents, but the shea butter is difficult to rinse unless you really work up a lather. They're their own enemy with a endless scent choice that makes the retailer's job a logistical nightmare- especially since they drop the poor sellers each year. I'm going back to MWF. I tried it briefly and want to coordinate my ingredients. MWF is THE shaving soap in my kit. I've tried MARVIS toothpaste. It's marvelous stuff. I just can't justify the $10.50 going unit cost I see online. Simple soap. I find that highly scented soaps can cause irritation and dry skin. I'm thinking of trying MWF bath soap. Well, this is a very nice topic! This one is much cheaper than the other Musgo Real, with the package in dark green. Chipre Imperial, from Confiança (actually this also bellongs to Ach. Brito). I really really like this one. Its scent reminds me my childhood.